Looking to get the latest information on cool high-tech electronics gear? This is the place. You can also check out the best technology web sites in our Technology section. If you're into learning guitar or writing guitar music, you should check out Guitar Pro 5. This is a very cool Windows and Mac software package that lets you easily create guitar tablature files and play them with realistic sounding instruments including guitar, drums, bass. There are literally millions of tab files out there using Guitar Pro file formats making it easy to find songs that you're trying to learn. 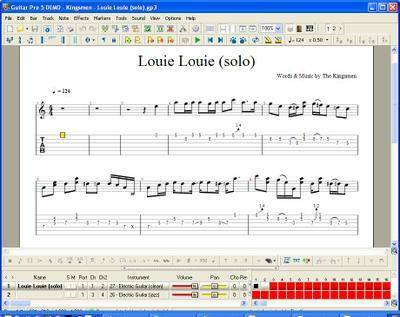 You can slow down the tempo and loop sections enabling you to easily practice that elusive Louie, Louie solo. You can download a trial version and the full package is a mere $60, about what you'd pay for an hour of lessons. Well worth it in my view. Nokia has come out with an updated version of their Internet Tablet, the N800. Although it's not a phone, it provides excellent Wi-Fi enabled connectivity for instant browsing. It's small enough to slip into a jacket or back pocket making it perfect for internet addicts. The 4.5 inch screen has an amazing 800x480 resolution and the device includes the Opera browser built in. It also has great media-playing capabilities with a built-in MP3 / Video player, stereo speakers and a headset. And for those who need to be connected all the time, it's got decent instant messaging capabilities with GoogleTalk and there is talk of having Skype available which would be the killer application for this device. For software developers, you can also add new applications using the maemo open source platform. This is a good strategy for Nokia, but there are still a couple of shortcomings. Since the N800 comes from Nokia, I would like to be able to connect to the internet directly over a regular GSM network, without going through a bluetooth connection to my cell phone. Secondly, the N800 is absolutely begging for a mini keyboard like the old Psion 5. Still for under $400, this device is quite cool for times when you have a Wi-Fi connection and don't want to lug around your laptop. Especially if you are mostly browsing the internet. If you've got an iPod and running shoes, the Nike+ iPod Sport Kit is a non-brainer. 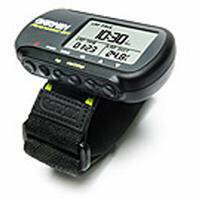 For $30 it turns your iPod into a realtime pedometer and stopwatch, measuring time, pace and distance while you work out. While it's not as accurate as GPS system like the Garmin, it is a heckuva lot cheaper and it's accuracy of around 97% is probably good enough for most casual runners. While the device is promoted as working with Nike shoes (which have a special slot under the insole to store the sensor) you can use a "shoe wallet" or ankle band with any brand of running shoe. I was able to try one of these out recently at a Nike sponsored test-run and it was very cool. I splurged on the latest uber-geek training watch, a Garmin Forerunner 301 GPS system. This is no regular watch, it's a full satellite backed Global Positioning System and Heart Rate Monitor. So now I can know exactly what pace I'm running, the exact distance covered, altitude, incline, heart rate, speed, distance, lap time and a myriad of other useless but interesting statistics. The Garmin is a two piece system. There's the watch itself, which includes the satellite receiver and also a separate Heart Rate Monitor strap which attaches around your chest. The watch is bulky compared to a normal sports watch, but once you get used to it, you come to appreciate the additional screen real estate it provides. You have 3 fields easily visible at all times and it's easily customizable to display the information you want to monitor. For example, I have a custom screen that shows the pace in the large font and then the distance and time in the two smaller fields below. You can also set it up to scroll through multiple screens. While some people have reported problems getting a GPS signal in heavily wooded areas or among skyscrapers, I've had no problems whatsoever. Unfortunately, I have had problems with the Heart Rate Monitor which was DOA on arrival. Nonetheless, compared to other watches, I find the accuracy and quality of the Garmin is worth the fuss. It's also great for cycling and includes exercise log software as well as various built-in training programs. Definitely a motivator. List price is just over $300, but you can get it on Amazon for around $210. OK, yeah, everyone knows there's a new iPod about every 6 months, I mean, what's really that exciting about it? You gotta check this one out. The ipod Nano is very cool. It is unbelievably small and light. It's so thin, you have to turn it to see where the rest of the stuff went, because you'll assume it's much thicker than it actually is. It's about as thin as a pencil and weighs just 1.5 ounces, or about the weight of two iPod Shuffles. It's also got a very nice, but compact, high quality color display. So you can view photos or album art while listening to your tunes. Not only is the iPod Nano cool, but Apple is incredibly smart for obsoleting the best selling iPod Mini with this even better device. Other companies can only aspire to the level of coolness that Apple achieves routinely. If I hadn't just bought an iPod Shuffle for running, I would buy one of these immediately. You can get the 4 gig version (approximately 500 songs) for $200 and the 8 gig for just $50 more. Available in classic white or in a meaner looking black color. GuitarPort is the entry-level guitar modelling hardware and software package from the guitar gods at Line6. These guys have figured out that instead of playing guitar, there are a lot people out there who just want to goof around playing classic Led Zep riffs. But they have to sound exactly right. So what they did is modelled the sounds of classic rock songs and made it easy to get the exact sound you want. Hook up to this pint-sized device via USB to your computer, plug in your guitar and get the magic tone of your favorite rock song all for around $100. GuitarPort offers a monthly subscription for $8 a month getting you the latest batch of songs, lessons and more. Line6 also has a full line of fancy-pants Variax modelling guitars that cram 25 classic guitar sounds from a 62 Stratocaster to a Les Paul Junior into one regular guitar. These guys truly have combined the power of computer hardware and software with the artistry of the guitar. Check out the new blog at GuitarVibe! When these Timex watches first came out in 1994, they looked like the kind of watch only an uber-geek like Bill Gates would wear. In fact, he did wear one. But now 10 years later, Timex has updated the watch so that it connects via high-speed USB serial cable to your PC so you can download contacts, appointments, alarms from Microsoft Outlook. If you liked the original DataLink watch, you'll love the new improvements. The software is finally usable, the watch is easy to use and has far more storage than before. Plus, did we mention the Outlook synchronization? And the watch is now branded in the IronMan line so it's a cool looking sports watch with built-in stopwatch, a training log capability and more. You can even get an SDK to build your own apps or download a space invaders clone. If you still want the original DataLink, you can usually find them on eBay. Heck, I own three of these suckers including the latest USB model. Ok, I'm not saying this game is in good taste, but it certainly goes to show that 41 years after the assassination of JFK, there's still a morbid fascination with what really happened. You got yer conspiracy theorists, yer paranoids, yer Oliver Stones and then you've got these weird programmers from Scotland called Traffic Games who've gone and created the ultimate simulation so you can, well, ah, sorry Mrs Onassis, but you can re-assassinate John F Kennedy. Weird. Ned Steinberger invented the original "headless" bass guitar back in the 1980's by taking a radical new look at guitar design. He later sold the company to Gibson and the original guitars with graphite necks and composite bodies are now collector's items. However, you can get a great low-cost wooden Steinberger made in Korea direct from MusicYo, the exclusive channel for Gibson's "retired" brands. They also sell USA made Steinbergers, low-price Kramers, amps, drums etc. I bought one and love it! Sometimes low-tech goes high-tech with some pretty interesting results. Mr Clean, the long dead hoodlum and macho yet sexually ambiguous icon from Procter & Gamble has re-emerged to become the image for a new-fangled car wash system. For about the cost of a low-end hand car wash ($25) you get a fancy spray nozzle that holds special Mr Clean low-suds polymer soap and a PUR de-ionizing water filter. In about 15 minutes, you can wash and rinse your car with Mr Clean system so that the filtered water beads off in a nearly spotless fashion with no mineral residue, streaks or spots. Forget waxing, buffing and towel drying; you won't even break a sweat. Ok, don't expect this to match a $50 car detailing service, but its a heckuva lot better than a typical service station brushless carwash or the local high-school fund raiser. Makes a great gift for the do-it-yourself type. Lots of programmers have great musical talent, but I'm not one of them. Still, I wanted to have a guitar that was easy to take on the road and easy on the budget. The Traveler Guitar series was designed by a retired Air Force pilot who figured out a way to have a full 23 3/4 scale neck, same as a standard Les Paul, but in a 4 pound package. Comes with a standard single coil electric pickup as well as an accoustic pickup and a three-way switch to mix the two. Can also work with the included battery-free stethophones. Distributed by Fender with a street price around $320. They also have electric and nylon string versions. If you want the ultimate in guitar portability, this is it. Once you've got the portable guitar, the next thing you need is a cool multi-effects headphone amp. Korg latest PX4 is the size of a deck of cards with a very easy to use interface for picking classic guitar effects and amp sounds from the 60's, 70's and 80's. It's also got built-in tuner, metronome, drum sounds and the ability to loop a sample. Even I sound good with the right effects. Well, maybe not good, but definitely better. Available for around $200 at most guitar stores. Lets face it. We're all drowning in information. Hard disk capacities have grown so large that looking for a file is like wading into a warehouse filled to the rafters with folders. Sure the information is somewhere, but how the heck do you find it? And when it comes to email, the problem is even worse. Outlook, the default email client for most Windows users, is hopeless when it comes to finding information. Now, a new company called X1 has introduced a search program that automatically indexes every email and every file on your hard drive. It's got a unique and unobtrusive toolbar interface that lets you find emails by sender, receiver, subject or contents in seconds. In fact, before you can finish typing you'll probably have what you need. If you're wondering how to cope with email explosion, check out X1. It'llpay for itself in days. Ok, if you're not quite ready to spend the big bucks on a Pandora, you can still get portability with a Smokey Amp. These are the world's smallest guitar amplifiers offering 1/2 watt of power from a silicone-injected cigarette pack. No kidding! Designed by former Fender engineer Bruce Zinky, these have been described as sounding like a "wet fart." Provides a unique and bizarre distortion sound that can be used as a portable amp or as an effects pedal into a cabinet or headphones. Perfect for sounding like Joe Strummer from the Clash. Available online and in guitar shops for $30. Handspring has finally done it. They've created the ultimate uber-phone-pda-combination device. The Treo 600 is the first combo device that has the form factor optimized to be a phone first and a Palm second. I bought a Treo 600 about when it first came out, and I can tell you it's superb. It doesn't have the cheap plastic feel of the first generation Treos and you won't look like a geek holding it to your head. This one feels like a good solid phone and has a great Palm user interface, good keyboard and sharp display. Combine this with wireless email like SnapperMail or Good and there's no reason to have a separate phone and PDA and no reason to continue to envy the RIM Blackberry. Add an SD card with 128Mb and you've got a cool MP3 player. I think the Treo 600 will bust the category wide open and set the bar for renewed competition and growth in this space. I finally broke down and bought a new PC. Actually, what really happened was my trusty old Dell PIII did break down. Or at least, the hard disk suffered a tragic death. Luckily, I was able to recover all the data from the machine, but sadly it does not want to booth any more. So this was my excuse for buying a spanking new machine. Although I had originally planned on buying a Shuttle Small Form Factor cube, I read some great reviews of the new Soltek EQ3401 QBic machine at AnandTech and Tom's Hardware. The Soltek is slightly larger than the Shuttle, so you can easily accomodate 3 drive bays. I have one for a combo CD/RW/DVD and one for a 7-in-1 floppy disk Smart Media / Secure Digital / Compact Flash memory card reader. The case is somewhat compact to work with, so I bought my machine from Atacom.com in Fremont and for $39 they assembled everything I needed. The best thing about the Soltek is it is whisper quiet. I can't even hear it except when I'm reading from the CD ROM. So now I've got a nice fast P4 2.8 mhz, 120 gig Seagate Barracuda hard drive, a gig of memory and an uncluttered and quiet desktop system. The Soltek also comes loaded with front and rear USB 2.0 ports, Firewire, on-board modem and networking. And you can easily add a turbo charged graphics card if you want. If you thought motherboards were dull, then you haven't been following the introduction of the latest small form factor nano-itx boards. If you're a do-it-yourself kind of system builder, then you gotta love the compact elegance that VIA systems has put into their latest boards. At just 120mm x 120mm (less than six inches!) you can get a x86 compatible CPU, motherboard and essential support chips, for graphics, power, networking all built-in. That's less space than a CD jewel case! So now you can build embedded system in even less space than ever before. Ok, it's no Intel P4 or Titanium in terms of raw speed, but it's quiet, sleek and has minimal power consumption and heat. Check out the weird projects on mini-itx.com. Sony has always been on the leading edge with it's lightweight laptops, especially those available only in Japan. Now Sony's introduced a great machine for the worldwide market including North America. 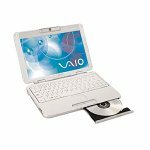 Weighing in at just over 3 pounds, the PCG-TR1A's got a 10.6 inch screen, a decent keyboard, built-in wi-fi and a full CD / CD RW / DVD player. For road warriors, this will make a huge difference, especially if you're used to lugging a 7 pound Dell or Thinkpad. It uses a 900 Mhz Pentium M and Centrino chip set to get great battery life and decent speed. I haven't written about cars here before, but this thing is just too innovative not to write about. Forget Dean Kamen's massively overblown Segue human transporter; the Smartcar is far more likely to impact the world than a $5,000 scooter. In fact, if you've been to Europe recently, you've probably seen more than a few of these pint-sized Smart Cars zipping around urban areas. They were originally designed by Swatch as the ultimate city car: low cost, small size, light weight, high mileage and extremely compact. MCC Smart Car was eventually picked up by Daimler Chrysler and together they have sold nearly 500,000 of these suckers in 24 countries. The original Smart Cabrio looks like a cross between a golf cart and a Volkswagen, but somehow comes off as being cute and practical at a cost of around £10,000 and a fuel efficiency of 60 mpg. Despite it's small size, you can pack some big guys and a lot of bails of hay into the Smart car, as shown in this Belgian video. You can also read some reviews here and here. The newest Smart Roadster and Roadster Coupe have a much more stylish look; somewhat like an oversized hotwheels convertible. They still manage to get 55 mpg and a sportscar feel by keeping the driver low to the ground and at the center of gravity. Lately, I've seen these cars pop up in books, movies and driving the streets in Vancouver. Supposedly Daimler-Chrysler is going to make these available in the US and Canada some time in 2005. If anyone has driven a Smart Roadser, drop me a line and let me know what you think. If you've ever wanted to use an iPod from your car but you don't have an audio input jack in your radio, Griffin has the perfect solution. This compact, cool looking add-on for the iPod broadcasts your tunes to any FM receiver. Just snap it onto the top of your iPod and tune in to the selected FM radio station. No batteries, no wires, no messing around. This thing is perfect and for $35 bucks gives you a ton of versatility. You can use it with any stereo: at home, the office, camping, whatever. Griffin also has other iPod add-ins including an FM radio, car charger and more. I'm hankering to buy a new computer and right now I think the Shuttle PC is one of the coolest PCs to come out in years. I've been buying a new Dell generic PC every 2-3 years for the last twelve years and frankly, the thrill is gone. The latest is a Dell Dimension XPS with a PIII 866 mhz. Other than upgrading the memory once about a year ago, I haven't opened the case at all and most expansion slots are empty. Shuttle, which is really more of an OEM and motherboard manufacturer is betting that there are lots of folks sick of the noise and space required for most desktops and has crammed an awfully powerful set of capabilities into a small form factor 5" x 5" x 9" cube. You can get an Intel P4 3 ghz processor, up to 2 gigs of memory in a fast, quiet, compact machine. 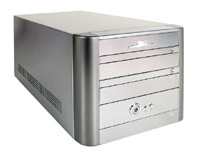 For expansion you can add an AGP graphics card for gaming, a PCI card slot, a CD/R drive and a floppy drive. It also comes with ports galore: standard parallel, serial, network connector, 4 USB 2.0 ports, and 3 firewire ports. You can buy a "bare bones" kit from Shuttle or from distributors like Fry's Outpost or TigerDirect and build it yourself by adding memory, CPU and hard drive. Or buy a pre-built system from resellers like Alienware. Check out a full review of the Shuttle PC SN41G2 bare bones kit (with AMD processor and on board NVidea graphics) at Hard|OCP. Ok, the name KVM sounds like a Russian spy agency, but what the LinkSys ProConnect KVM does is enable two separate PCs to share Keyboard, Video and Mouse. So if you've ever had two machines that you need to work on but don't have the space or gear to have separate keyboard, mouse and monitor, then this switch is what you need. For $35 you can now instantly switch between the two by hitting a key on your keyboard. The KVM switch works at the hardware level, so you can swap between, say, a Linux box and Windows machine with ease. Why you'd want to, well that's up to you. Still this thing is totally cool. T-Mobile (formerly VoiceStream) is now selling Danger's too-cool combination PDA, web browser, instant messager and cell phone, the Sidekick. Weighing in at just over 5 ounces, this device is one of the best attempts at combining everything you need into a single highly portable and affordable device. You can even attach a digital camera. Plus the device is just plain cool the way the screen pivots to display a keyboard. Admittedly, there are tradeoffs. The screen is black & white, the phone is a bit awkward and it has its own operating system, not Palm or Pocket PC. But if you want fast web browsing and email and don't want to pay blackberry rates, this is the device to get! Now available for under $250 with phone / data plans that won't bankrupt you. Creative Labs, inventor of the PC soundard in the 1980s, has now surpassed Apple's iPod in cool factor with the world's smallest MP3 player the Nomad Muvo. The Muvo uses the new USB memory "disk" providing 64Mb or 128Mb. You can transfer files easily from your PC by plugging into a USB connector. The Muvo gives you one to two hours of listening in the size of a zippo lighter running off a single AAA battery. There are no features, no display, just a green light to tell you it's working. So if you want fancy frills, look elsewhere. But if you want something compact and lightweight, this is it. It also acts as a super-portable disk drive for backing up your work. If there's one publication that influenced me more in my life, it's probably a toss up between Byte and Mad. Ironically, it's Mad magazine that has the best archive of their back issues. This 7 CD ROM collection published by Broderbund includes every issue from the magazine's original full color comic book in the 1950s through to the end of 1998 with a fantastic computer interface that let's you enjoy the original artwork, magnified Mad Marginals, virtual fold-ins, a great search engine and more. My only complaint is not having a DVD version so you could search without having to swap CDs. Now if only Byte would do the same! If the idea of lukewarm coffee sets you on edge, then consider splurging on a $25 stainless steel vacuum commuter / computer mug from cooking.com. The mugs will keep coffee to a piping hot 140 degrees (that's farenheit) for three hours. They're available in brushed stainless steel finish, copper or graphite blue, like mine. Ok, it's not high-tech, but it's certainly appropriate for most techies. Sipix doesn't make the fanciest digital cameras around, but for around $40, it's amazingly light, compact and cheap. If you've been put off of digital cameras because of their high price and complicated pictures, or if you just need something to take some quick and dirty snaps, this is a great way to get into the technology. This puppy is so light you can put it in your pocket and forget about it until you're ready to use it. Ok, there's no flash, no zoom and the photos are at a modest 640x480 resolution. But for keeping a digital record or posting on a web site, it'll work great. Who would think that you could take a full-size keyboard and fold it making it shirt-pocket portable? Well, a couple of inventors in southern California came up with the ThinkOutside (get it?) keyboard and have been stamping them out for Palm, Handspring, Sony and Pocket PC portables. Also available as the Targus Stowaway. For serious typing, this is an incredible device.